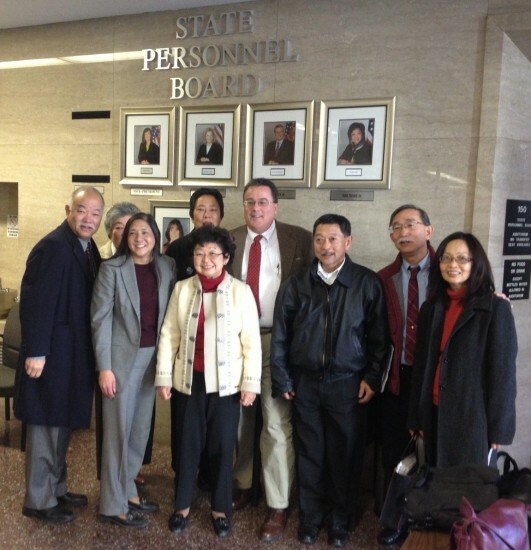 Apology supporters gather after the State Personnel Board meeting on Jan. 10 (from left): Dean Lan (APSEA), Fumie Shimada, partly obscured (Florin JACL), Miko Sawamura (National/Sacramento JACL), Lorna Fong (resolution leader), Marielle Tsukamoto (Florin JACL), David Unruhe (NCWNP District JACL), Dan Tokutomi (APSEA), Andy Noguchi (Florin JACL), and Helen Fong (APSEA). Not pictured: Maeley Tom (State Personnel Board). SACRAMENTO — Tear-choked stories of past injustice moved the California State Personnel Board to unanimously vote to apologize for its 1942 firing of 265 employees of Japanese ancestry at its Jan. 10 meeting in Sacramento. The plight of these employees, unjustly labeled “disloyal” and then shipped off to America’s World War II concentration camps, was championed by the Japanese American Citizens League (JACL) and Asian Pacific State Employees Association (APSEA), guided by the efforts of Lorna Fong, a recently retired state worker. This apology followed the 1982 Assembly Bill 2710 by Assemblymember Patrick Johnston (D-Stockton), which offered $5,000 in redress payments to each of 88 state employees who formally appealed their firing. An apology wasn’t included in the original legislation. 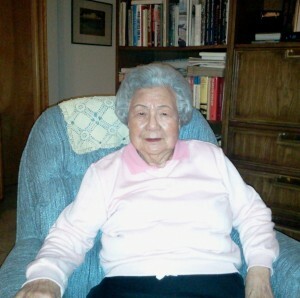 Fong testified that one of the few surviving state workers is Sally Taketa, 94, of Sacramento. She was a junior clerk at the Department of Agriculture and the Department of Social Welfare who had dropped out of college to help support her family. When state officials came to fire Taketa in 1942, co-worker friends hid her under a desk and helped her escape out of a back door, she said. “I’m happy. Finally! It’s important that recognition is made to those of us who were fired,” Taketa told Fong and Miko Sawamura, National JACL vice president of general operations, in an interview. Taketa was unable to attend the meeting due to a broken hip. Revealing the depth of her feelings about securing this apology, Fong emotionally shared how she took up this cause. Her mother was one of thousands incarcerated in the Tule Lake concentration camp and Fong volunteered for the annual Tule Lake Pilgrimage. She saw an old newspaper headline saying “200 Japs Fired” and decided something just had to be done to right this wrong. State Personnel Board Vice President Kimiko Burton felt the misery of loyal Americans unjustly accused. As she dabbed tears in her eyes with a tissue during the emotional testimony, she told how she and her family members in Hawaii had only recently learned of similar concentration camps there. Board member Richard Costigan remarked that he served on the board of the California Museum just a few blocks down the street, which features an “Uprooted” exhibit about the Japanese American experience. The award-winning exhibit and tours co-sponsored with the Lodi, Placer County, Sacramento, and Florin JACL chapters draws 3,000 to 4,000 Northern California students each year, according to the museum. Sawamura, also a representative of the Sacramento JACL, testified about the turbulent period and resistance by Japanese Americans. In 1942, the Sacramento JACL actively organized support for the state employees. The State Personnel Board of the time criticized the JACL for holding meetings ”at the home of an “enemy alien.” Racist U.S. laws then barred Issei immigrants from becoming citizens. Florin JACL Civil Rights Co-Chair Fumie Shimada commented after the meeting on the importance of this long-overdue apology in a modern period of 9/11 backlash against Muslim, Sikh, Arab, and South Asian American communities. “We can’t just think of the past. We have to learn the lessons of the past to help us today,” she said. In her remarks, Fong especially credited Maeley Tom, current State Personnel Board member, for invaluable support and assistance on the apology resolution. Tom served as board president during 2012, rotating out for the new year. As a follow-up to the board’s action, on Feb. 19, Assemblymember Richard Pan (D-Sacramento) will also introduce a resolution, sponsored by the JACL, for an apology on the 71st anniversary of the incarceration order, Executive Order 9066. Others testifying at the meeting included: Jeff Uyeda of APSEA; David Unruhe, governor of the Northern California Western Nevada Pacific (NCWNP) JACL District; and Andy Noguchi, NCWNP civil rights co-chair. Letters of support came from: Assemblymember Mariko Yamada (D-Vacaville), Berkeley JACL, Watsonville–Santa Cruz JACL, Contra Costa JACL, Sacramento JACL, Pacific Southwest District JACL, NCWNP JACL, National JACL, APSEA, and the California Department of Human Resources.